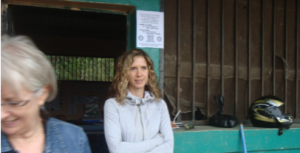 …and along with having a lot of fun, I had extra ears to help hear what those Spanish words were saying, extra ideas, extra analysis, extra support, extra help and extra presence of A Better World for the folks in the Copan area. Sure enjoyed having Christiane and Karen there with me this trip. Karen and I spent the day with Saul from Plan International. Our first order of business was to visit Carizalito where we had heard that the school would not be opening this year. “Why” was our question. There were “problems” and 11 of the 19 families had moved. We had heard rumors of drug related problems and murders. Now there are 9 children who won’t be going to school this year. The magic number of kids to warrant a teacher is 25. Then we moved on to tour the Centro de Salud in Santa Rita and spend the rest of the day distributing packets of school supplies in mountain villages. 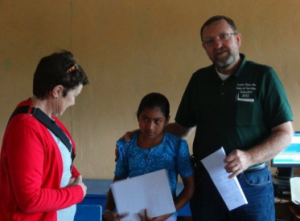 For the second year we were able to be on hand to present certificates and offer our congratulations to the students attending the El Chilar school where they are now able to access Grade 7, 8, and 9 education in their rural area school. This year the focus was on Computer Based Self learning. We have supplied computers where the entire program has been downloaded for their use. In the Morazanica school in El Chilar 11 students benefited from the Jr Hi program and 40 students in grades 4, 5, and 6 have limited use of the computers to practice keyboarding, reading and math. Books in Honduras are a rare commodity. 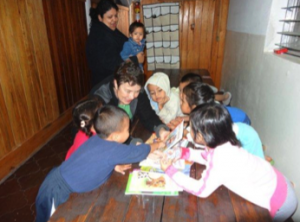 With donations to A Better World (Carol in Honduras projects) being targeted towards books… and help from Hernan Nieto who shipped many of them, we had a good supply of free reading books to share. 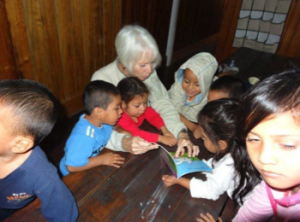 Some of those were donated to the new Dayhome (Casita Copan) where we spent time looking at the books and reading some of the stories. Two large buckets of books remain and we have decided to wait to distribute them. We are collaborating with Plan International who work with a number of communities in the far out rural areas. Saul Carrera will work with schools to submit a proposal for access to a supply of the books. I hope we can assess the needs and enthusiasm of those proposals before my next trip and award two of the communities with a large bucket of free reading materials. The original seed money for the microloan project came from two of our donors and was initially directed to a microloan small business for Raimunda. 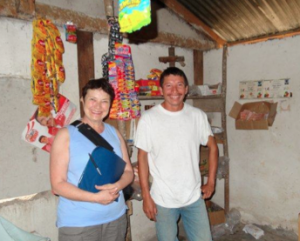 With her payments and adding a little, we funded Cristinos microloan. 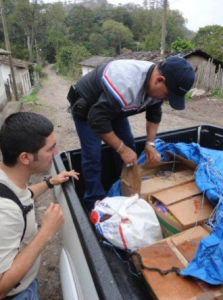 CRISTINO has purchased a fridge and an increasing amount of stock with his microloan. He ￼involves his family… his wife and eldest child mind the shop when he is away and his son takes the responsibility of replenishing stock with trips to Copan. Cristino asked me to thank A Better World for this opportunity to help him support his family. 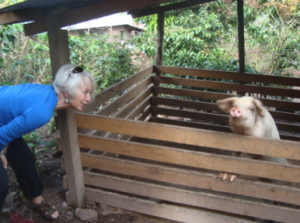 You are currently browsing the Carol in Honduras blog archives for January, 2013.